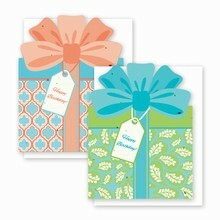 Our recycled greeting cards are made from 100% post-consumer pulp and are infused with seeds in the Grow A Note® lines or our own junk mail in the 100% Junk Mail line. 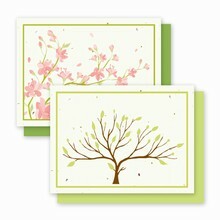 Whether you are sending a card to a loved one or just for a special occasion, you are helping save the environment and make others feel good while doing it. 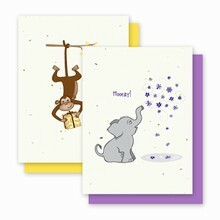 Choose from our recycled greeting card collection to pick the perfect card to meet the occasion! 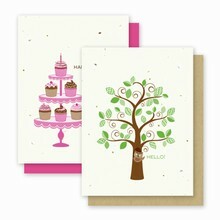 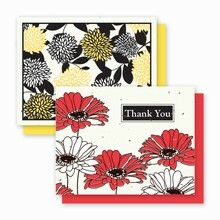 Recently, Green Field Paper launched it's Gourmet Garden Greetings™ line of recycled greeting cards. 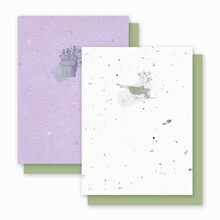 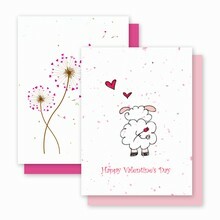 The 100% recycled greeting cards are infused herb and vegetable seed which the recipient can then plant. 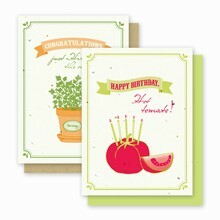 The sentiment denotes the type of seed such as "Lettuce Celebrate!". 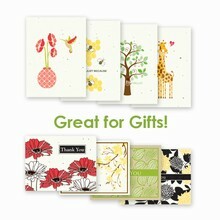 Green Field Paper uses soy-ink to print the recycled greeting cards. 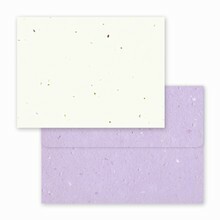 Soy ink is a helpful component in paper recycling, as soy ink can be removed much easier than oil-based ink from the paper during the de-inking process. 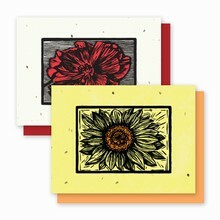 In comparison to traditional inks, soy-based inks are naturally low in volatile organic compounds (VOCs) and their usage can lower the emissions that cause air pollution.